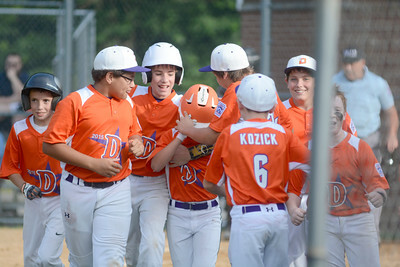 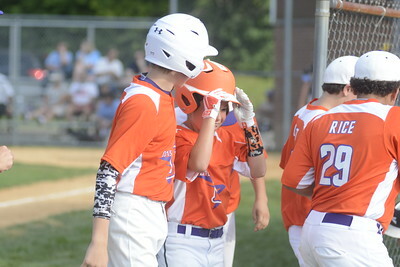 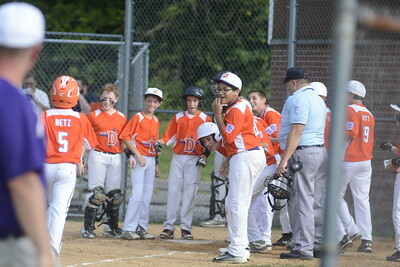 Players on the Danville Major Division Little League all-star team celebrate a home run during Wednesday's game against Snyder County. 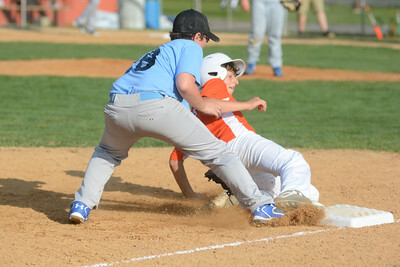 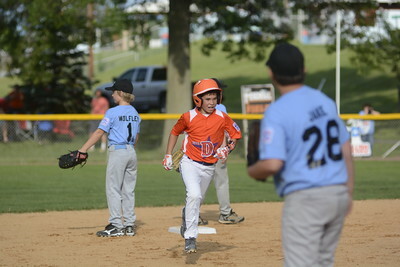 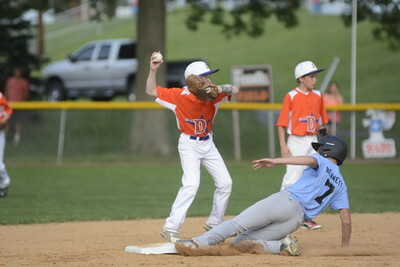 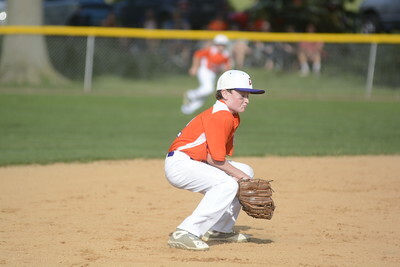 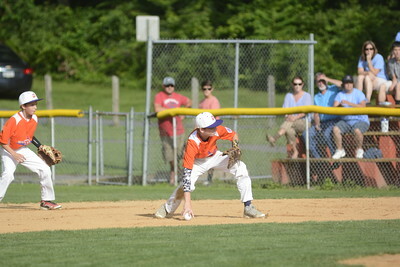 Danville's Jagger Dressler gets tagged out at third base by Snyder County's Jake Richard during Wednesday's Major Division Little League all-star game. 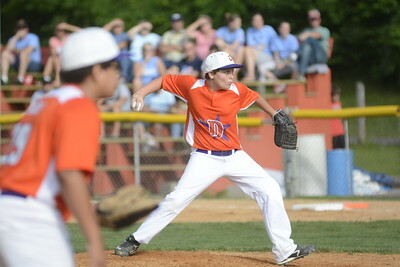 Snyder County's Hunter Wolfley throws to third base during Wednesday's Little League major division all-star game against Danville. 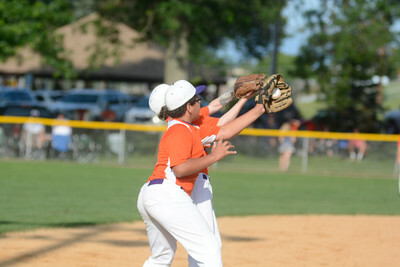 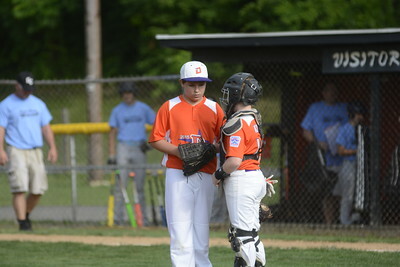 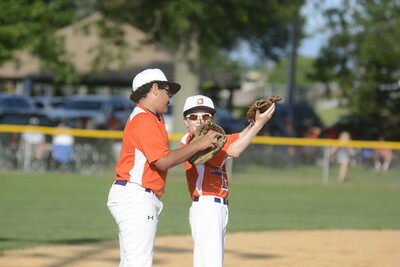 Danville's Kyle Kizis, left, and teammate Jayden Rice, almost collide while making a catch for an out during Wednesday's Little League major division all-star game against Snyder County. 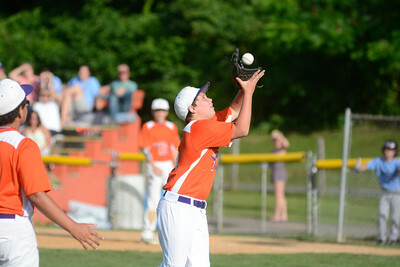 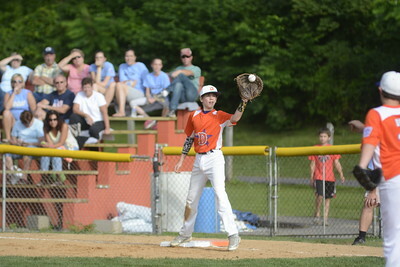 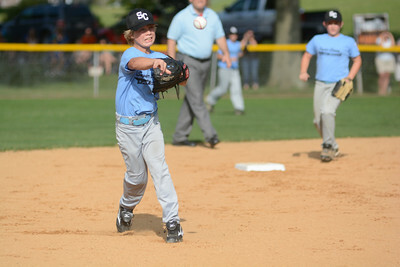 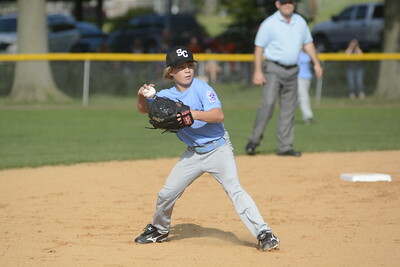 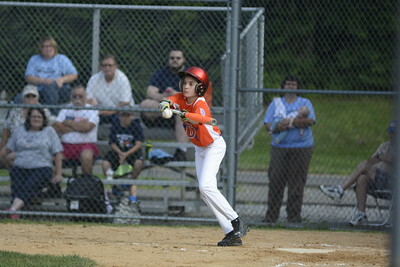 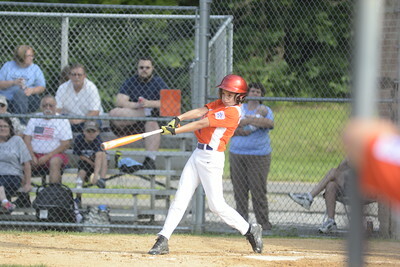 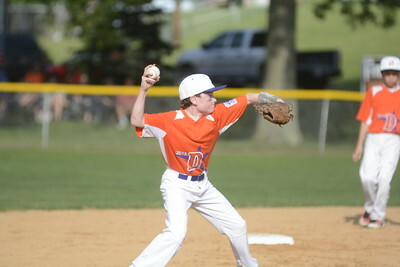 Danville's CJ Outt makes a catch for an out during Wednesday's Little League major division all-star game against Snyder County.